Fyre Festival met an ill fate in April of 2017, and those responsible must now face the repercussions. 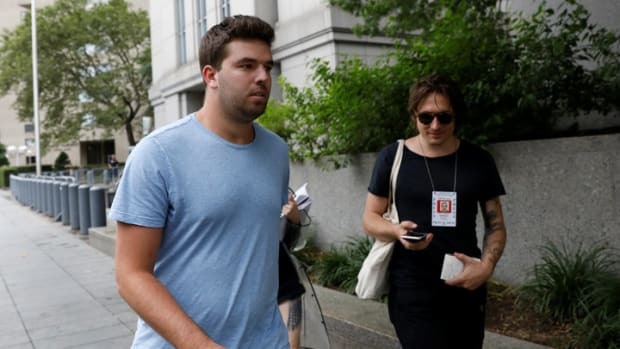 Today, Billy McFarland was sentenced to six years in federal prison by U.S. District Court Judge Naomi Buchwald. Attendees of Fyre Festival were met with disaster upon arrival as lodging structures, amenities and entertainment fell dramatically short of what organizers had advertised. This summer, McFarland was also caught scamming those seeking tickets to Met Gala, Burning Man and Coachella in addition to the two counts of wire fraud he already faced for the flop of his own festival. "It is my conclusion based on all the submissions that the defendant is a serial fraudster," said Buchwald, "and that to date his fraud, like a circle, has no ending." McFarland&apos;s lawyers had asked for leniency on account of him being diagnosed with bipolar disorder, but Buchwald added that the condition did not excuse his behavior. Trustee Gregory Messer wants to know where the streaming platforms received "insider footage".